Over the years, Metairie, LA has seen its fair share of misfortune. From the 1947 Fort Lauderdale Hurricane and Hurricane Betsy in 1965 to the Flood of 1995 and Hurricane Katrina, Metairie is no stranger to hardship. Fortunately, the hard-working people of Metairie always manage to bounce back. If there is something we have learned from these incidents, it is that you can never be too prepared for the unexpected. While we can’t predict what the future holds, we can protect the assets that we have worked hard to acquire with the right kind of insurance. That’s where Botsay Notary and Insurance Network comes in. As a local, independent insurance agency, we are proud to serve Metairie residents, drivers and businesses, with affordable insurance solutions backed by personal, attentive service. In fact, we have the ability to shop a variety of top-rated carriers, so whether it’s commercial insurance, Metairie auto insurance or motorcycle insurance, you can be confident that you are getting a quality policy at an excellent value. From West Esplanade Avenue to Airline Drive, David Drive to Bonnabel Boulevard, wherever you are in Metairie, LA Botsay Notary and Insurance Network has your complete insurance solution. 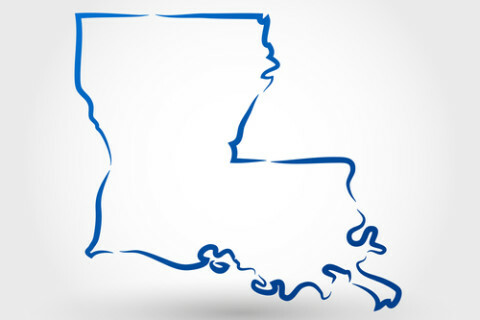 In addition to car insurance, business insurance and personal insurance, Botsay Notary and Insurance Network is also proud to serve as a Louisiana State Authorized Public Tag Agency. Don’t wait in long lines at the DMV or deal with less than ideal customer service — come to Botsay Notary and Insurance Network for fast, friendly DMV service! We can meet your needs for vehicle registration renewal, tag and title, title transfer and more. As our name indicates, we are also a full service Notary Public. So, if you need Notarial work in the Metairie, LA area, look no further! Our services include: Wills, Power of Attorney, Civil Law and Real Estate, and our experienced and dedicated staff will provide you with the services you need and the personal, friendly experience you deserve! With more than 3 decades serving Metairie, LA and the surrounding communities, Botsay Notary and Insurance Network is proud to be your single-source solution for insurance, Notarial work and DMV service. Experience the Botsay Notary and Insurance Network difference for yourself, and see why so many Metairie residents and businesses trust in us to meet their needs and exceed their expectations. Contact us today. We appreciate the opportunity to serve you.